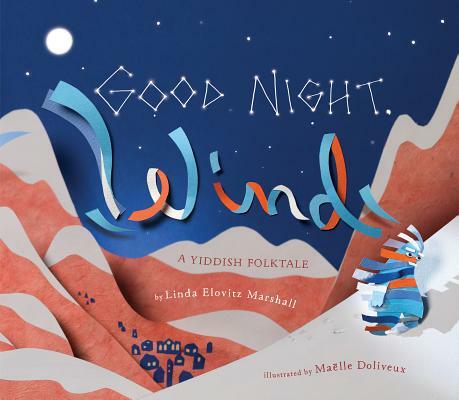 In this retelling of a Yiddish folktale, "Winter Wind worked hard all season long / blowing away leaves, / preparing trees for coats of snow and ice." Now, Wind is tired and needs a place to rest. But no one wants to shelter so cold and blustery a Wind--not the townspeople, not the country innkeeper, not even the gnarled tree who is worried about frozen roots. Finally, Wind does what any of us do when we are overtired: Wind has a tantrum. And it is only with the help of two small children brave enough to weather the storm that Wind finally finds the perfect place to sleep. Gentle language coupled with intricate photo-illustrations of collage dioramas tell this sweet tale about empathy and friendship. The visuals in this book are striking for their vibrancy, palette, and movement. Linda Elovitz Marshall is the author of many picture books for children, including the Talia and... series of Jewish holiday books including The Passover Lamb, which was a Sydney Taylor notable book. Maëlle Doliveux is an award-winning artist and illustrator whose work has appeared in dozens of publications, including The New York Times, Newsweek, The Boston Globe, and Vulture. She is also the cofounder of Beehive Books, an independent comics publisher. She has won both gold and silver medals from the Society of Illustrators and has been a judge for the MoCCA Arts Festival Award of Excellence along with Joan Hilty and Rutu Modan. This is her first book.